The mystery of iniquity revealed. To understand the mystery of Eden, we have to go back in time, and get to know what really happened in the garden of Eden. We have to know for sure what the tree of knowledge is all about. 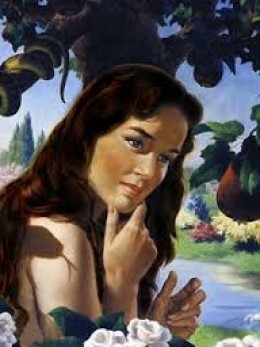 The mystery is revealed: The woman, Eve is the tree of knowledge. Lets take a look at this statement, if this is true or not. She, the woman is the only one in the garden who was "Good for food", "a pleasure to the eye", "good to make one wise", and it was not allowed to partake of or touch her, in the beginning. And she became the one, to bring forth, knowledge of good and evil. The healing of the blind man in Mark 8:24 is the revelation of human beings to be the trees in scripture. 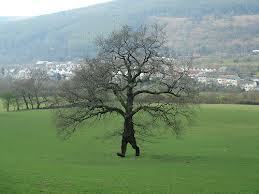 "all the trees of the field shall clap their hands." Isaiah 55:12 Even the gentiles are today clapping their hands, redeemed by the gospel of Jesus Christ. The woman is fulfilling the profile, of being the tree of knowledge of good and evil. She was the one not to be touched or known. Eve was the naked woman who was a pleasure to the eye. She is the one who is good for food, in the term of knowing the tree of knowledge. Everything is fulfilled in the woman. Even the progeny of good and evil. 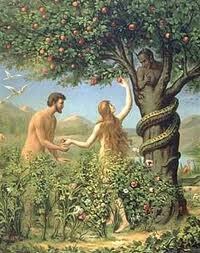 Only Eve is found to bear record of both good (Abel) and evil (Cain) fruit in the garden of Eden. The reason for Eve to bear good fruit is found in Adam. He was created in the image of God. He was the good knowledge, knowing Eve. But Adam, the image of God, was not supposed to replenish the earth through the knowledge of knowing his help meet. This was the sixth day creatures way of replanishing the earth. Not the way of Adam. He was the 7th day creature in the image of God. The serpent seduced her, and she partook of the knowledge. She now bare evil fruit in her womb. She now was with child, and the serpent was the father. Now the tree of knowledge was known for the first time. But Adam was not the one knowing the tree of knowledge. It was the serpent seducing Eve. After this event, Adam knew his wife. This is the second time she was known and partook of the knowledge. This one time, Adam knowing his wife, is the time when the seed of Abel was given to the woman. The seed of Cain was the first seed given to her. But it was given to her by the serpent who sedused her, to partake of the knowledge. This means that this now is the second time, the tree of knowledge, Eve is known. But this is the first time for Adam. And that is why Adam is not the father of the first born child, Cain. The serpent was the first to partake of the knowledge, and Cain was born because of that first knowledge. And she conceived, and bare Cain...And she again bare his brother Abel. This is the twins of good AND evil foretold to happen this way by God. And also foretold by Adam giving names to all beasts, including the serpent. Adam was created in the image of the fig tree, even with the law of the fig tree. Learn the nature and law of the fig tree. There are two distinct bees, involved in the process of producing fig. Strange pollen and fig pollen. It is written: Cain was of the evil one. He was evil like his father, the serpent. Abel was righteous like his father, Adam. The firstborn child, Cain, is the mystery child of the 6th day. Why? Because his father the serpent was a 6th day creature. The number of Adam is 7. Adam was put to the deep sleep of death, away from the 6th day. Gen. 2:21. On the 7th day, according to Genesis 2:2 God finished his work on the 7th day. What was to finish on the 7th day, except to raise up Adam and also his wife to life. To do well on the sabbath day is allowed, according to Jesus. Matthew 12:12 ...Wherefore it is lawful to do well on the sabbath days. Adam the prophet and priest, entering into the rest of the 7th day, to be made king of Eden. Adam was the son of God of the 7th day, with the number above all other creatures of the field. Even thou Cain was firstborn, the anger rose against Abel. Why? Because of the message of Abel. Abel was offering of his firstborn to the Lord. The message of Abel was all about the fact that God love and receiveth the offerings of the firstborn sons of God. And he have chosen the firstborn sons of God to inherit the kingdom. 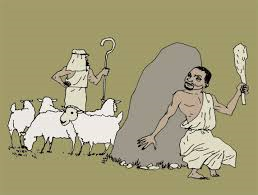 But Cain being firstborn, this message of Abel ought to be sweet music in the ears of Cain. Cain was the firstborn son. But no, he was not a son of God. This little missing detail in the life of Cain, is what gave him reasons to kill his brother. Not being heir of the blessings of Adam. Cain knew that he was not.the firstborn son of God. He was the firstborn son of the serpent. The firstborn rights were in Abel. Abel was offering of his firstborn, and by this message of Abel, Cain went angry and killed his brother. The message of Abel being the beloved firstborn son of God, is what came in between these two children of Eve. Abel was offering to the Lord of all his firstlings. And by this revelation, Cain understood that he was not the firstborn son of Adam, son of God, but he in fact was the firstborn son of the serpent, the father of perdition. Eat apples and you will find out if you are naked or not !!! No, it was not apples. It was the sexual act of knowledge, that opened their eyes and ruined the paradise of Eden. Adam would never break the commandment of God, unless there was a good reason for doing so. The reason for Adam to change his path and eat of the forbidden tree, was his spiritual knowledge of how to save Eve through childbearing. By the fall of Eve, Adam chose to save his beloved wife, in childbearing. I Timothy 2:15 These words of 1. Timothy 2:15 is all about Adam and Eve. These words of saving the woman through childbearing is fulfilled in Mary. She gave birth to the savior. This process of giving birth to the savior started with Eve, and she knew it. Eve expected the savior to be born sometime soon, and this is her reason for naming her firstborn son Cain. She thought that her firstborn child was the Lord, in the wordplay of saying "Cain". She failed in her teachings, her prophecy, and she was now also denied to teach. Many sayings are teached to be the truth in our days, even thou they are in error. "ye have heard that it is said" If the mother is Jew, the child is a Jew also. But I say unto you: It is the father, bringing forth of HIS kind. Is the father (The serpent) evil, the child is evil also. Is the father (Adam) good, the child is good also. The Bible tells us that Seth was in the image and likeness of his father, Adam. But Cain did not look like Adam in any way. 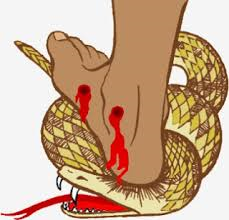 Cain was evil and he did act like the serpent, who killed Eve by his sedusing act. And that is the nature of Cain also. Cain was the first son of perdition. The first murderer. Following the generation of Cain, understanding him to be evil and you will discover the generation of iniquity to be found in them. Following the generation of Adam through Seth and you ought to discover them to be the GOOD generation. The generation of Salvation through Jesus Christ, their King. They were the good seed of God through Adam, the son of God. Eve became by this, the mother of ALL living. Both good and evil living. Adam, the son of God, only became the father of the sons of God. Judas is the son of perdition. He is of the generation of the gentiles. The meaning of his name Iscariot is: The man from the south. Judas was Egyptian. From the country in the south. He was a gentile. Jesus is the seed of the woman. She haven´t got any seed by herself. Jesus is the promised seed. Jesus is not the son of Adam by bloodline. He is the Son of God, by blood. Jesus is called the seed of the woman. He is not the seed of any man. Jesus Christ is the eternal God, without any beginning. Without an end to his life. The body of Jesus Christ is the eternal word, MADE flesh in time. Jesus is the created seed of God. He is the temple of God. The body of Jesus was created by the word of God, to Mary, the woman. Without father,(Josef) without mother,(Mary) without descent,(The generation of Jesus Christ...) having neither beginning of days,(Jesus IS yesterday, even before he was born) nor end of life;(His life was taken away. No end of life) but made like unto the Son of God; abideth a priest continually.